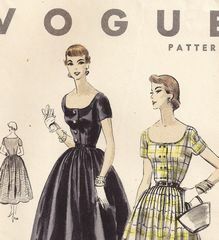 One piece dress "Easy To Make" vintage pattern from 1954 is uncut, complete and in factory folds. 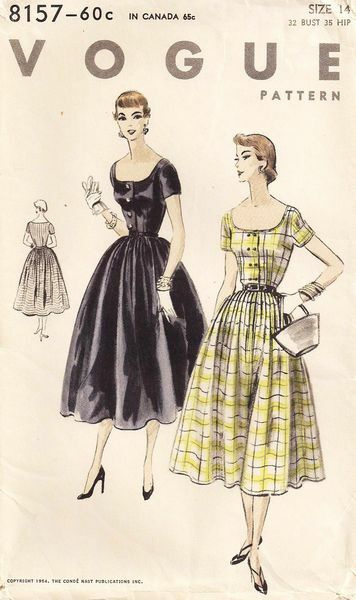 Skirt has released pleats or is gathered all around and joins the bodice at waistline. Bodice front buttons below a wide, low neckline, higher in back. Very short sleeves. Covered cording around neck and sleeve edges is optional.